Straight teeth not only enhance your child’s appearance, but can improve oral health as well. Dr Miles is a recognised and esteemed orthodontic expert on treatment efficiency and utilises the most advanced techniques and materials to manage orthodontic treatments effectively. By doing this, Dr Miles is able to reduce the number of orthodontic visits necessary for your child. It is recommended your child receives their first orthodontic examination between the ages of 6-10 years of age. This allows Dr Miles to assess and diagnose any orthodontic issues before they become problematic, and allows your child to undergo the treatment they need while their jaws are still developing. Making the choice to proceed with an orthodontic treatment for your child is a big one; it’s both a big financial investment, and a big investment in their future. Choosing the right practitioner is an important part of this decision. At Newwave Orthodontics, we don’t believe in talking you in to expensive treatment you may not even need. In fact, on occasion, Dr Miles finds himself taking patients out of treatments which would only provide the very smallest benefit. We want our patients to feel informed, and be treated exactly how we would like to be treated; no misleading information – just the facts so you can make an informed choice. 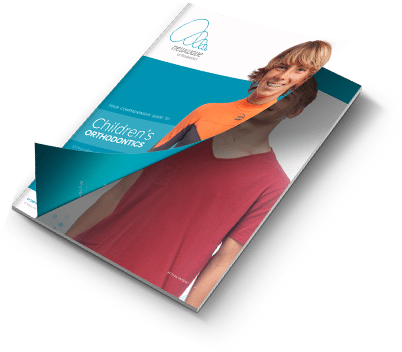 We hope you find our children’s orthodontics guide helpful and informative!